Family & Friends visiting for the Holidays? Take the crew to ZOOLIGHTS! Holiday season is here, and that means being surrounded by the things you love…eggnog, cookies, and visiting family and friends. It’s always exciting to spend time with those you love, especially when they’ve traveled from out of town. However, sometimes the season can lend to festive cabin fever, and you need to get your group out of the house! So where do you go when you need to entertain kids and adults alike? 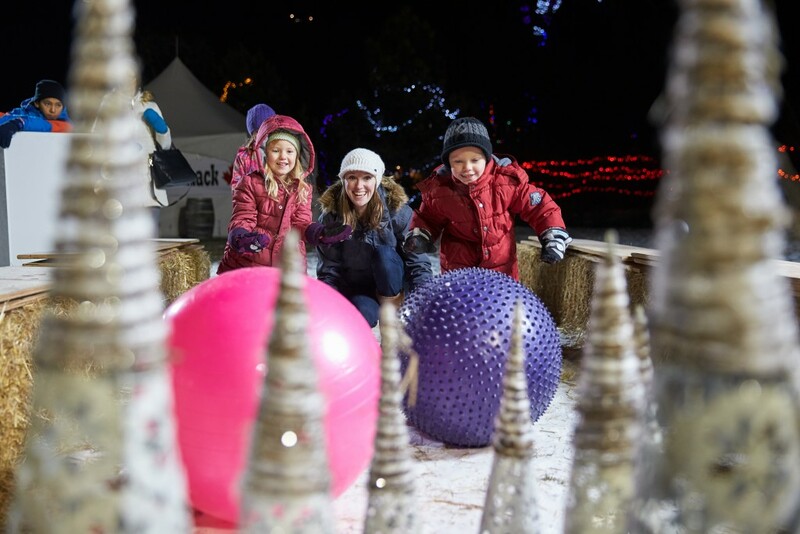 Look no further than the Calgary Zoo and ZOOLIGHTS, the one stop shop for the season’s classic activities, and Calgary’s number one holiday tradition. Looking for something to entertain the kiddos? 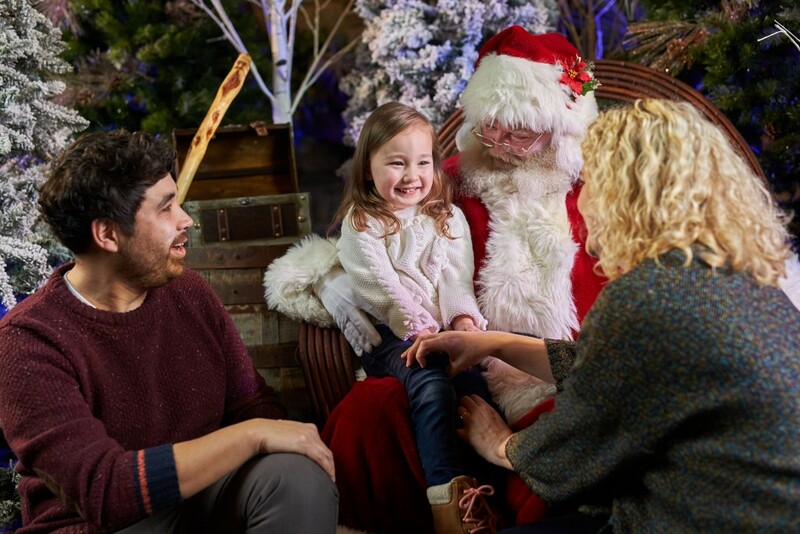 Meet Santa: Come visit Santa (for FREE!) and fill your children with holiday delight! Kid Stables: Turn the kids loose for a romp around in this mountainous heap of straw. Lollypop Rock: Grab a musical instrument and see how much you can make the lights on the singing tree dance and change colours. The entire family makes a great band! Enrichment Nights in Santa’s Workshop: Every Wednesday night in December come help Santa’s elves build holiday gifts for the animals at the zoo! Don’t forget to check if you’re naught or nice! Visit Santa in the ENMAX Conservatory at ZOOLIGHTS. What about something for the whole family? Christmas Karaoke: Get in the holiday spirit by singing along to your favourite Christmas tune! Straw Bale Bowling: Partake in a round of giant bowling down an alley made of straw bales. Games Galore: From giant puzzles and hula-hoops, it’s playtime for the entire family! Sugar Shack (presented by Wild Wild West Event Centre) : Stop in for a sweet maple syrup treat at the custom-built sugar shack- a sweet tooth doesn’t have an age restriction. Bowling takes a snowy twist at ZOOLIGHTS! ZOOLIGHTS runs nightly (6-9 p.m.) from Nov. 27-Jan. 2, 2016. Entrance is through the North Gate only. General admission (16 years and up): $14 (plus GST). Children (3-15 years old): $11 (plus GST). Parking is available in the North lots for $5. Tickets are available at the gate or beat the crowd by purchasing tickets online.